Personalised Hand Painted Bunting for weddings and other special occasion, using hand-painted lettering on hand-made paper, with your own personalised message. Personalised Hand Painted Bunting – Create your own personalised decorative paper bunting for your wedding or other special occasion. 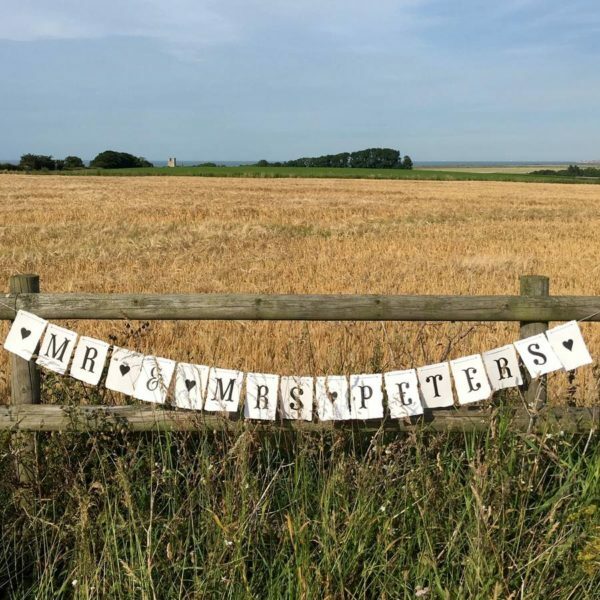 Every personalied bunting is made to order. 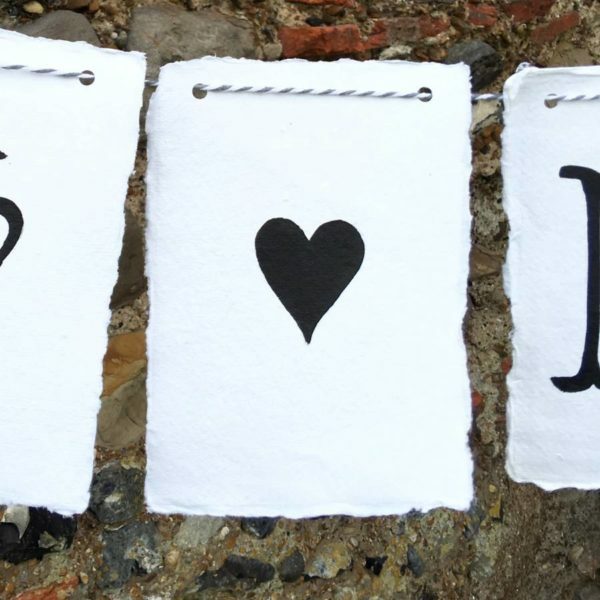 We have letters, stars, hearts, numbers and ampersands to create any message you like. Then we will thread it on to your string or twine of choice. Perfect for all occasions. see below. 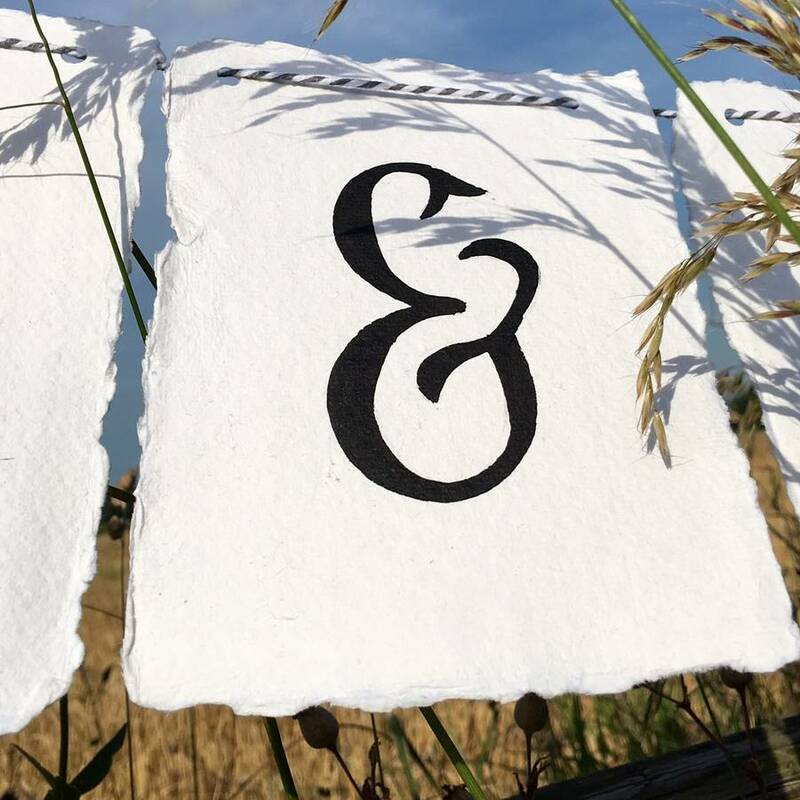 Each letter or symbol was originally hand-drawn by artist Peter Gander, then printed on to high quality 300gsm Callisto Pearl card. 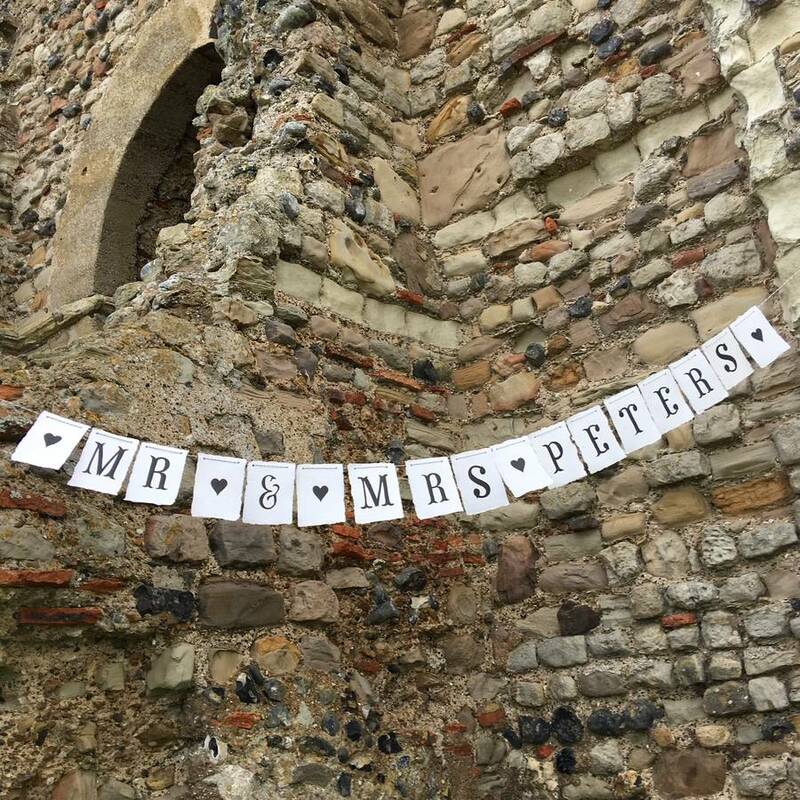 This is the ‘creme de la creme’ of personalised bunting. Every ‘flag’ is hand-painted, with a letter on each flag making your own personalised message. 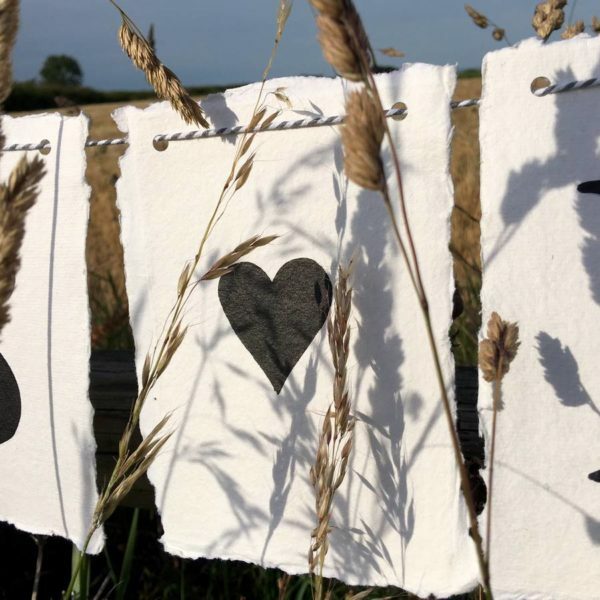 This bunting is sure to impress, it is really beautiful and unusual. 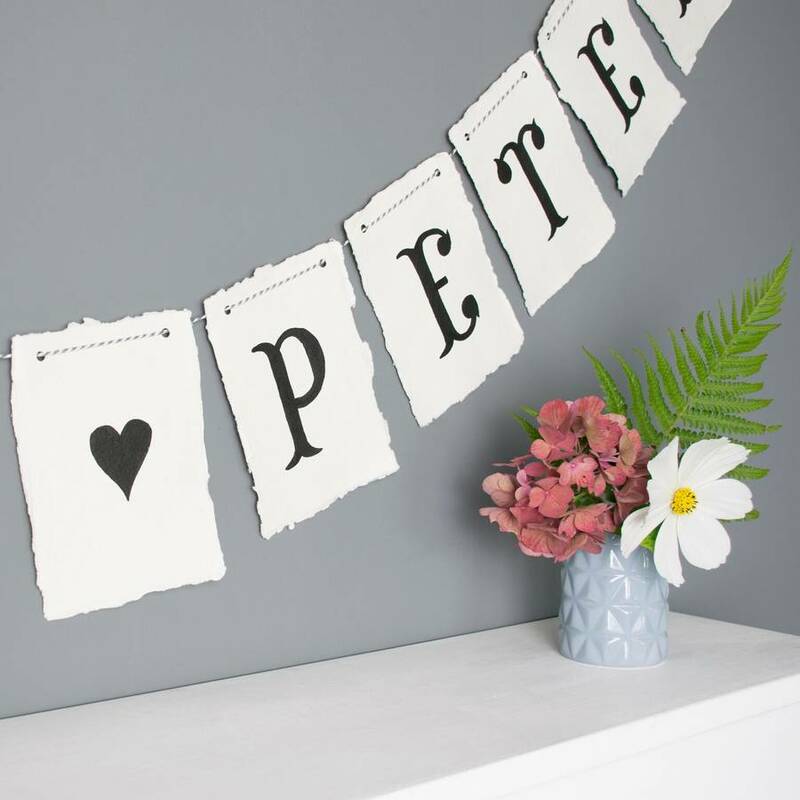 The lettering is painted in black, the little heart spacer is black, very stylish and simple, want colour or understated – we have a choice of strings and twines to choose from. hyphens, exclamation marks, question marks are available, if there’s something else you’d like just ask. 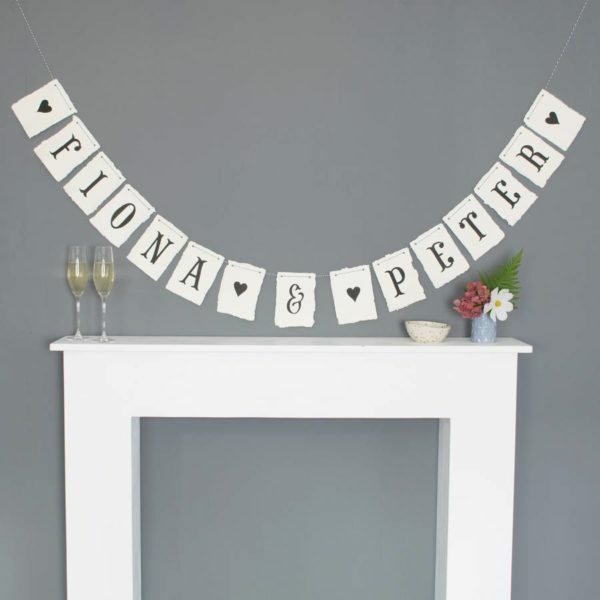 This product is made of card, perfect for indoors or outdoors as long as it’s not raining. This bunting is not waterproof. 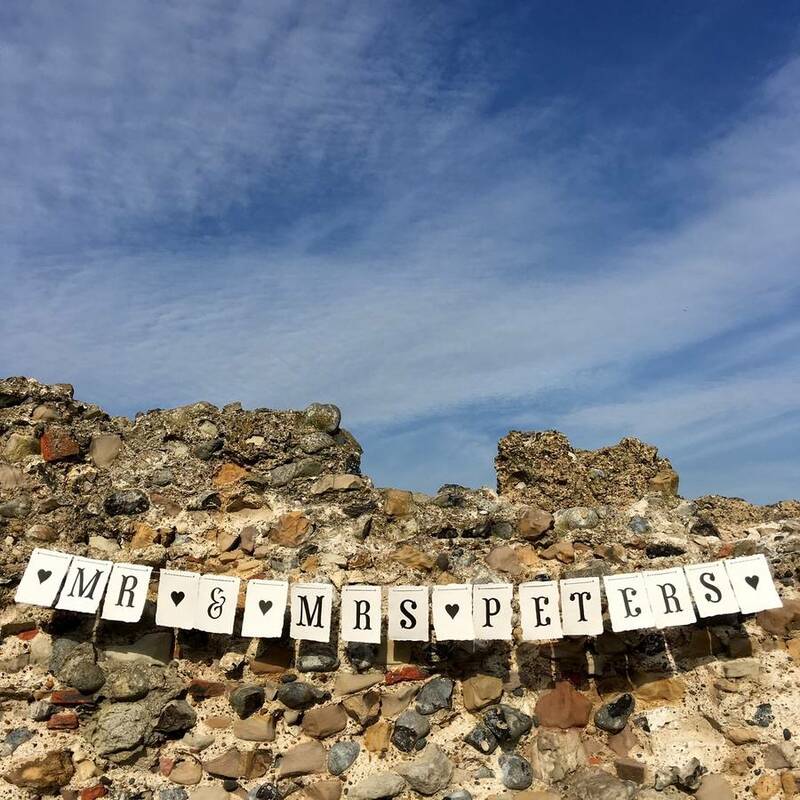 If you have a particular string colour (wedding theme clour) in mind that we are not currently offering, let us know, we will try and source it, however this will inevitably delay things by a few days. Just send us a message. The paper we use for this bunting is made by hand, the edges are deckled, so are beautifully ‘freeform’, adding character and ‘uniqueness’ to your bunting.